This past Tuesday 22 of January took place the first meeting among the cloister of the school Gayare de Sants with the scientists and IBEC staff in the framework of the Magnet program. It was an interactive and practical day attended by 20 teachers from the centre. “Magnet, alliances for educational success” is a program that unites educational centres that have an unbalanced social composition with an institution of excellence for 4 years. This union will allow the educational centre to develop an innovative project that will become a reference project in its territory. The Magnet project is promoted by the Jaume Bofill Foundation, the Departament d’Ensenyament, Diputació de Barcelona, the Consorci d’Educació de Barcelona and the Institut de Ciències de l’Educació of the UAB and it is inspired by the Magnet Schools in the United States. The duo formed by IBEC-Escola Gayarre de Sants is one of the 15 new alliances of the Magnet program for this new 2018-2019 scholar course. “As a research centre, we have to participate in the educational process of society. We must be educating agents and add in this learning process by providing non-traditional scenarios” states Josep Samitier, professor and Director of IBEC. The institutions of excellence that participate in this program will provide its expertise, knowledge, competences and values to the educational centres. Research centres, museums, universities and other reference institutions in a specific field of knowledge such as technology, art or audiovisual communication can join the program. 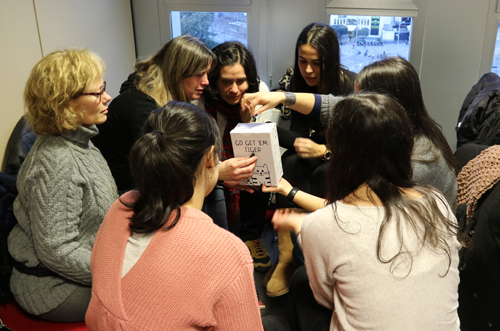 During the first meeting with the cloister of the Gayarre de Sants school, there was space for dialogue to share concerns between the teaching stuff and IBEC’s team involved in the Magnet program. Josep Samitier made a presentation on the institution, bioengineering and the challenges of science. A series of practical activities addressed to the educational personnel where carried out with the objective of bringing science closer together, with a more practical and didactic approach so that teachers could inspire themselves and later work on scientific concepts in their classrooms in an innovative way. 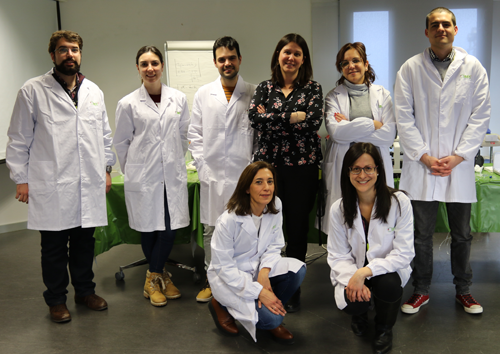 The IBEC team involved in the Magnet program is formed by: Ester Sanchez, Soledad Pérez, Sergi Rey, Lucía Selfa, Tania Patiño, Manuel Gomez, Arnau Biosca, Rafael Mestre, María José López, Xavier Punyet and the coordinator of the program, Pilar Jiménez. All of them researchers and administrative staff of IBEC.